Busy business travelers today don't expect much from the select service hotels they stay at. 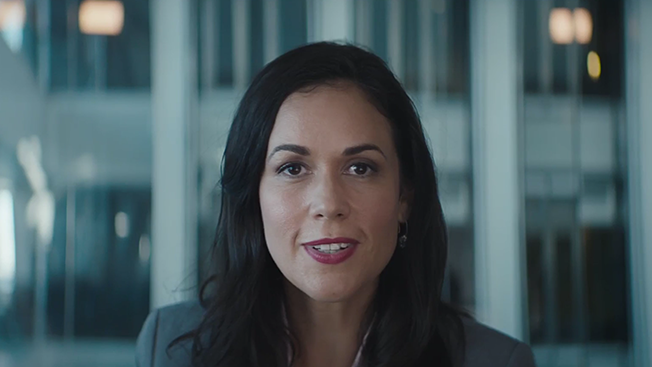 As a company that's in the business of business hotels, Hyatt created a campaign targeted at this group that aims to show why Hyatt Place and Hyatt House hotels make great business travel accommodations. "You've Come Too Far to Settle Now" aims to celebrate the ambition of this group of travelers who are at the top of their game and shouldn't have to settle for average hotels and run-of-the-mill service. It also marks the first integrated marketing campaign for business-minded Hyatt Place hotels, as well as Hyatt House, the brand's extended-stay hotels. "We were very focused on the fact that we didn't want our consumers to settle because they were staying in that category of hotel," said Maryam Banikarim, global CMO, Hyatt. "We then went out to look for real people that actually embody that, people who didn't settle in their life and they are really the voice of the campaign." Some of those people featured in the campaign include a former college football player turned professional opera singer and a war photographer. The idea with the work, created by MullenLowe, is to move beyond the typical business hotel advertising that shows off the room amenities from free Wi-Fi to complimentary breakfast, and instead celebrate its key market, business travelers. "This campaign is about creating an emotional connection with these travelers where, I think, in the category it's been more functional to date by showing features and functionality," said Sandra Cordova Micek, svp, global brands of Hyatt Hotels. As another part of the campaign, the brand is creating the #WhySettle Spirit Awards for people who truly capture the brand's never settle values. Nominations will be accepted on the Hyatt Place or Hyatt House Facebook pages, and each winner will receive a 3-D print statue. Throughout the campaign, Hyatt will have a few media partners, including with NPR's new podcast, "How I Built This," which centers around entrepreneurs and their path to success. The goal will be to align some of the stories that the brand collected for its "Never Settle" spot with the new podcast.